Broccoli is a vegetable that resembles cabbage and cauliflower. ‘Broccolo’ means branch Maintaining immune system is major Health Benefit of Broccoliin Italian and that’s where the word is derived from. It is one of the most widely used vegetable favored in cuisines and dishes worldwide. You can eat it either raw or cooked but it is best steamed or taken as a salad. Moreover, broccoli contains powerful antioxidants such as sulforaphane and glucoraphanin along with phytochemicals that can fight and prevent against infections and diseases including cancer. A standard sized cup of broccoli has enough of vitamin C and sulforaphane an antioxidant vital for cleansing your body of free radicals. Vitamin C is also an antihistamine that eases discomfort related to common cold. Broccoli is rich in calcium and vitamin K. These minerals are beneficial for bone health and for preventing osteoporosis. Studies show that carotenoid lutein content can help prevent macular degeneration and cataracts that are age related. A high level of sulforaphane makes it effective in fighting cancer. Even though broccoli contains good amounts of vitamins, dietary fibers and folic acid, it is low in calorie count. A single cup of raw broccoli (chopped) gives around thirty calories from broccoli. A majority of the calories are in the form of carbohydrates. Besides containing good amount of minerals, vitamins and nutrition in broccoli is also useful in keeping your body’s immune system toned to fight against infections and illnesses. A high amount of potassium content in broccoli helps keep your nervous system healthy and aids in muscle growth. A cup of steamed broccoli on a daily basis boosts your immune system due to a healthy content of beta-carotene. Broccoli contains a powerful antioxidant compound, sulforaphane that is also an anti-carcinogen found to be effective in hampering growth of prostate and breast cancer. Dietary fibers are abundant in broccoli. This aids in improving digestion and preventing constipation. It also helps control blood sugar and keeps you from overeating. Additionally, broccoli is a rich source of vitamin A. it is required for forming retinal, a molecule that is vital for dim light and color vision. 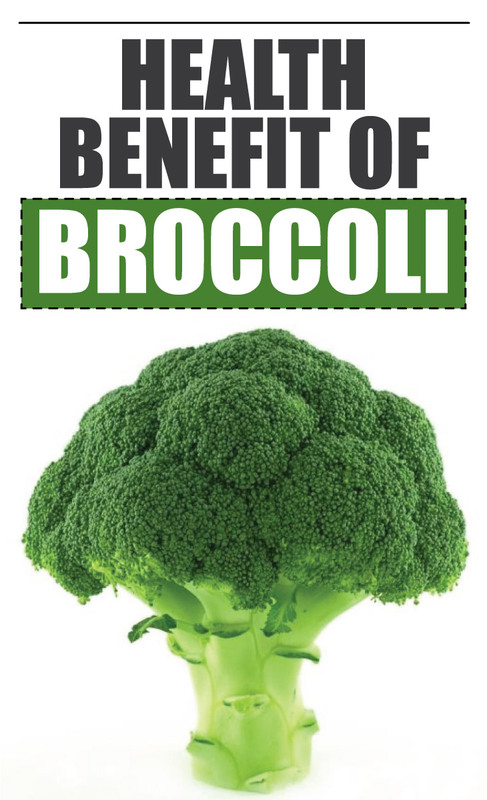 Another broccoli nutrition fact is that it contains carotenoid lutein and dietary fibers. These components help slow down the thickening of arteries in your body, fight against stroke and heart disease and aid in digestive process.